Detroit, MI – Thom Connors, Regional Vice President and General Manager of SMG, announced that Mary Klida has joined the Cobo Center staff as its new Marketing and Communications Manager. Klida comes to the Cobo Center from Smart City Networks where she served as Marketing Manager for the event center technology supplier. During her tenure at Smart City, Klida implemented a branding campaign across multiple delivery platforms, oversaw all content creation and message strategy, and wrote and published national and local technology news campaigns among other projects. “Mary understands the event industry in terms of public relations and has experience working from the ground up to create a brand and industry presence. New ownership under the Detroit Regional Convention Facility Authority and new management under SMG, along with our current facility upgrades, make this an exciting time at the Cobo Center. Mary’s experience will be a great asset as we launch our marketing and public relations strategy,” said Connors. 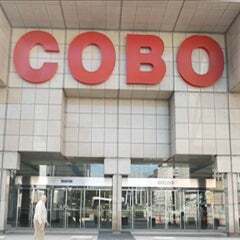 The year old Detroit Regional Convention Facility Authority (DRCFA) has developed a strategic plan to renovate and develop the Cobo Center as one of the nation’s leading meeting exhibition venues. Klida will be responsible for developing partnership opportunities, digital asset optimization including social media marketing development, newsletter development and aggressive marketing campaigns. 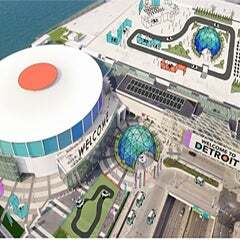 She will also be overseeing the Cobo Center’s efforts to reinforce and integrate the DMCVB’s marketing focus points of car, culture, gaming, music and sports into the Center’s marketing platform. Klida has received several prestigious awards for her community organization work, including the first Warren Township Distinguished Service Award, the Juvenile Officers Community Spirit Award, and the Lake County Community Leadership Award. 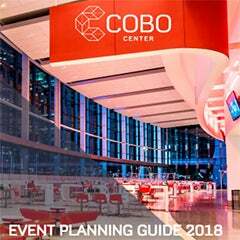 About Cobo Center: With 700,000 sq.ft exhibit space, Cobo Center boasts one of the largest contiguous exhibit floor spaces in North America and is the nineteenth largest convention center in the country. including arenas, stadiums, theatres and performing arts centers, equestrian facilities and convention, congress and exhibition centers. With facilities across the globe, SMG manages more than 11 million square feet of exhibition space. As the recognized global industry leader, SMG provides construction and design consulting, pre-opening services, venue management, sales, marketing, event booking and programming.